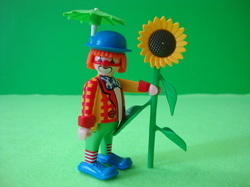 In the 1970s German toymaker Horst Brandstätter asked Hans Beck to design a child's toy figure for his company. Beck created a figure by thinking like a child: large head, big smile, and no nose. This allowed for the toy to be accepted into the imaginations and hearts of children without hesitation and become an easy toy classic and icon. 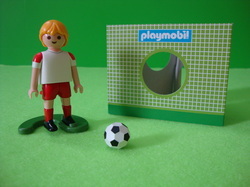 Today, Playmobil is sold worldwide. 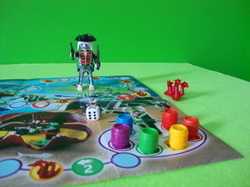 The sets are grouped into detailed play themes such as Knights, Dollhouse, and Farm with a population of different figures, buildings, vehicles, and accessory pieces. Over fifty different themes have been available making the toy accessible to a large variety of children's personalities and imaginations. Below are the themes that have found their way into our collection. The African Wildlife theme reminds us of our Disney "home" at the Animal Kingdom Lodge's Kidani Village. 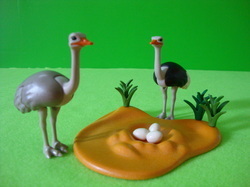 Also I love ostriches so we realized that this theme was going to be a part of our collection. Click to view our Playmobil African Wildlife collection. 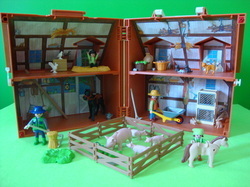 The Country theme is a collectible extension of the Farm and Pony Ranch themes. This collection contains more detailed horses featuring specific horse breeds. Click here for our Playmobil Country collection. The Farm theme is the main focus of our collection. My wife and I wanted a nice farm toy set for our daughter to play with because I grew up with my father working on a farm. 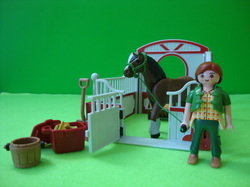 Playmobil did a great job with the Farm theme; all of the animals and accessories will make imaginative play easy and fun. 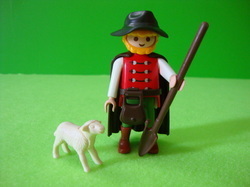 Click to view our Playmobil Farm collection. We buy the Life in the City sets that we think would be fun to play with. Click to view our Playmobil Life in the City collection. My brother really wanted to buy the Fairytale Castle for our collection, and after much protest I gave in. It turns out that it was a great set. 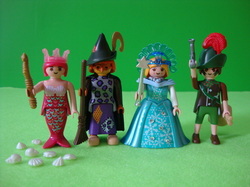 Click to view our Playmobil Magic Castle collection. The Summer Fun sets are really about leaving the city for some fun. Our Summer Fun sets take us camping and to the beach. 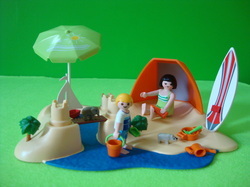 Click to view our Playmobil Summer Fun collection. When we were young, my brother and I had a few Western sets. Seeing the theme re-introduced, I wanted to add a few sets to our new collection for mostly nostalgic reasons but also because they look like some good fun to play with. 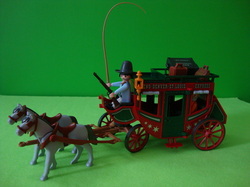 Click here to view our Playmobil Western collection. Famed toy seller, FAO Schwarz celebrated its 150th Anniversary in 2012 by releasing several special toys including these two Playmobil sets. Frederick August Otto Schwarz said, "I have made toys my life study... there is solid satisfaction in dealing with childhood playthings and in knowing of the joy one is sending out into the hearts of the little ones..."
Click to view our Playmobil FAO Schwarz 150th Anniversary collection. Playmobil Fi?ures are a collectible line of twenty-four figures, twelve male and twelve female, that are sold in "mystery" packaging meaning that you do not easily know which figure is in each package. After the first series, several more series were introduced. We collect only the figures that fit into the themes we are already collecting by "feeling" for special accessories through the packaging. Click to view our Fi?ures collection. We buy the Specials that we like. Click to view our Playmobil Specials collection. These sets are the oldest in our collection going back before I even knew we would have a collection. They were probably bought in or around 2001 by my brother for me when I started teaching at the Catholic school. 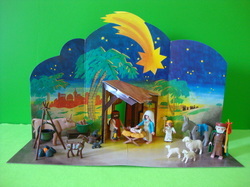 Click to view our Playmobil Christmas collection. These are probably the oldest sets in our collection. 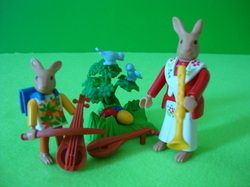 I bought three sets of these rabbit figures one Easter four each of my cousins' families and myself. I thought that they would make cool Easter decorations. Click to view our Playmobil Rabbits collection. We got this one and only Circus set in our collection because it was very much on clearance. When we had gotten this set, I didn't think we'd ever have any more Circus sets because they had been long discontinued, but we have been able to find several more at really nice prices. 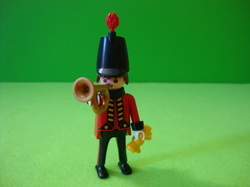 Click to view our Playmobil Circus collection. More deeply discounted prices and a good bargain eye added the first of these sets to our collection. 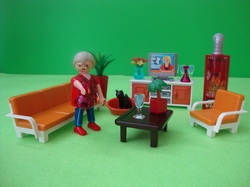 The do contain nice furniture pieces that can help our figures their homes every now and again. Click to view our Playmobil Dollhouse collection. This theme was added to our collection because I thought that the dragons were pretty neat figures. I also wanted some new baddies that my knights, princes, and princesses could battle. 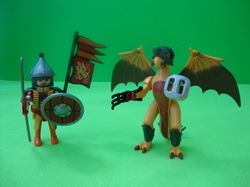 Click to view our Playmobil Dragons collection. 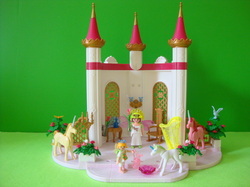 We were already collecting the Magic Castle and Princess theme sets, so this theme was a natural fit to our collection. 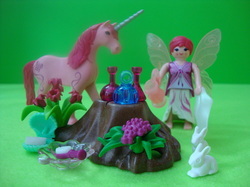 Click to view our Playmobil Fairies collection. We bought a few sets from the Knights theme to give some new action and heroes to our Magic Castle play. 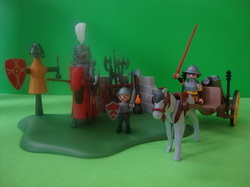 Click to view our Playmobil Knights collection. Playmobil.com added this "bonus" to orders of $40 or more. If we didn't get this for free, this theme would not be a part of our collection. Click to view our Playmobil Pirates collection. We're Polish and proud. Our first sports set was a soccer player wearing Poland's colors on his uniform. 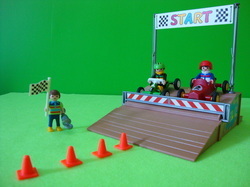 Click to view our Playmobil Sports collection. My wife seems to be the one choosing to add zoo sets to our collection. Click to view our Playmobil Zoo collection. 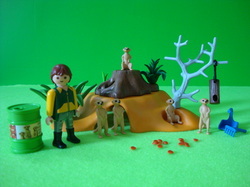 Click here to view our Playmobil Figure Gallery. Click here to view our Playmobil wishlist.